VMware provides this operational tutorial to help you with your VMware Workspace ONE® environment. This exercise introduces you to managing Chrome OS devices in Workspace ONE. This operational tutorial is intended for IT professionals and Workspace ONE administrators of existing production environments. Both current and new administrators can benefit from using this tutorial. Familiarity with networking and storage in a virtual environment is assumed, including Active Directory, identity management, and directory services. Knowledge of additional technologies such as VMware Identity Manager™ and VMware Workspace ONE® UEM (unified endpoint management), powered by VMware AirWatch, is also helpful. This exercise introduces you to managing Chrome OS devices in Workspace ONE. This exercise walks through creating a profile and enrolling your device to test the results. The procedures are sequential and build upon one another, so make sure that you complete each procedure in this section before going to the next procedure. 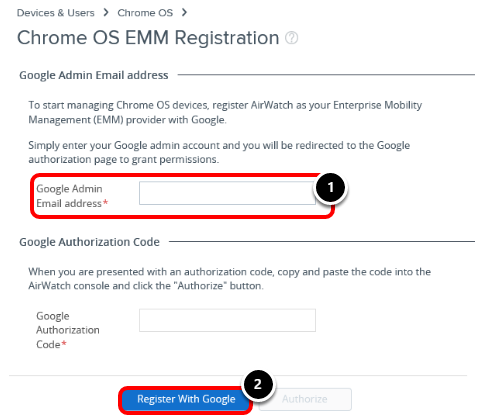 This exercise requires an admin user to authenticate into G-Suite and enroll device into Workspace ONE UEM. Note the user account information in the following table. The details provided in this table are based on a test environment. Your user account details will differ. For more information, see Requirements for Deploying Chrome OS. Caution: Do not factory reset your personal device to complete these exercises. To perform most of the steps in this exercise, you must first log in to the Google Admin Console. On your desktop, double-click the Google Chrome icon. Enter your email address or phone number. 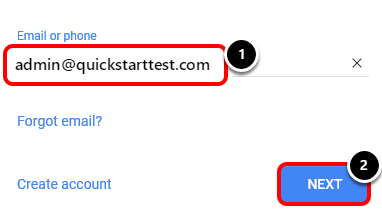 For example, admin@quickstarttest.com. Enter your Password. For example, VMware1!. 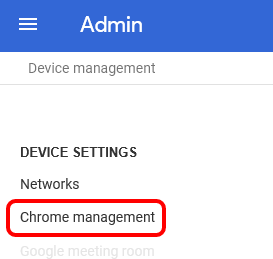 In this activity, enable Chrome device management from the Google Admin page. 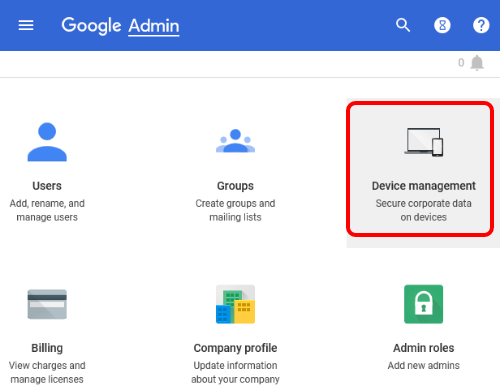 From the home page of the Google Admin Console, click Device Management. Scroll to the Chrome Management - Partner Access section. Select the Enable Chrome Management-Partner Access check box. In this activity, you integrate Workspace ONE UEM with Google management. The procedures are sequential and build upon one another, so make sure that you complete each procedure in this section before going to the next procedure. Before you can perform the procedures in this exercise, you must first complete the steps in Getting Started with Google Management. To perform most of the steps in this exercise, you must first log in to the Workspace ONE UEM Console. 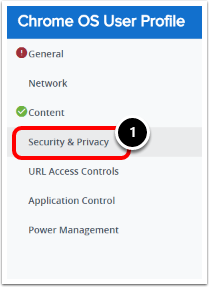 For example, navigate to https://<WorkspaceONEUEMHostname> where WorkspaceONEUEMHostname is the host name of the Workspace ONE UEM console. Enter your Username. This is the name provided in the activation email. Click Next. After you click Next, the Password text box is displayed. Enter your Password. This is the password provided in the activation email. Note: If you see a Captcha, be aware that it is case sensitive. 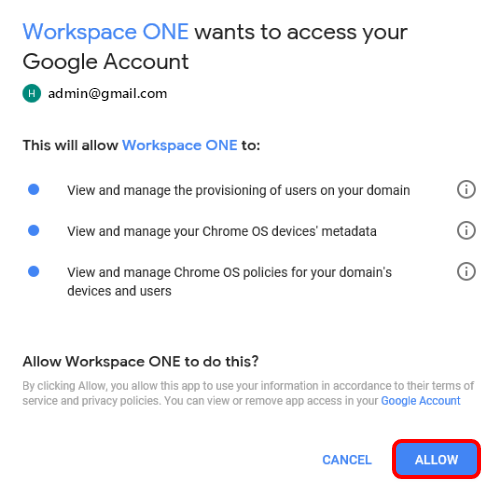 Begin integrating Workspace ONE with Google by entering your Chrome admin email on the Workspace ONE Console setup page. This redirects you to a Google authorization page to grant permissions. 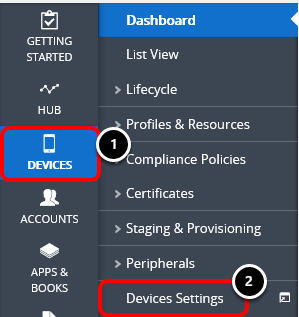 In the Workspace ONE Console, click Devices. Click Chrome OS EMM Registration. Enter the Google Admin Email Address. For example, admin@quickstarttest.com. Select Register with Google which redirects you to Google. Caution: Please make sure you have pop-ups enabled otherwise the Google authorization page will not open. Review the screen and click Allow. Copy the Google Authorization Code. Return to the Workspace ONE Console and paste the code copied from Google into the Google Authorization Code field. 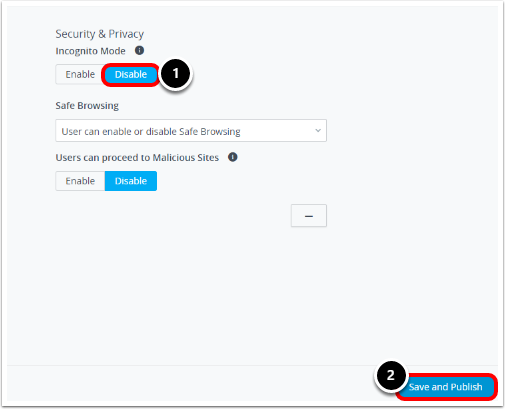 Click Test Connection to ensure the connection between AirWatch and Google is established. If successful, a green Test Connection Successful message displays. 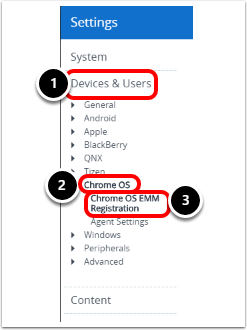 Click Device Sync to manually sync new Chrome OS enrollments into the Workspace ONE UEM Console. 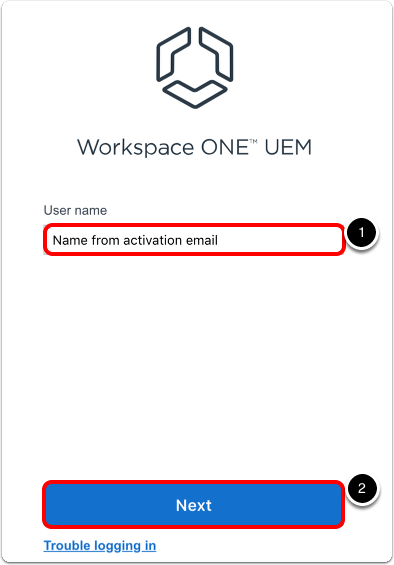 Device enrollment establishes communication with the Workspace ONE UEM console and allows devices to access internal resources. In this exercise, generate a QR code in the Workspace ONE UEM console, and use it to enroll your Android COPE device. Warning: Do not factory reset your personal device to complete these exercises. This exercise requires a user to enroll their device into Workspace ONE UEM. Gather the required account information, and record it in the following table. The account information used in this exercise is based on a test environment. Your account details will differ. Enrollment is facilitated from the Chrome OS device using the Google admin credentials or existing G Suite user credentials. 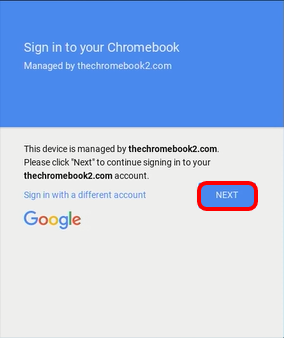 After you select done, the Chromebook automatically applies any pre-configured device policies and is ready for a user to sign in. Once a user signs in, all applicable user profiles are pushed to the Chrome device. Once devices are enrolled, they display in the Device List View in the Workspace ONE UEM console. Boot up a factory-reset Chrome OS device that's connected to the internet. 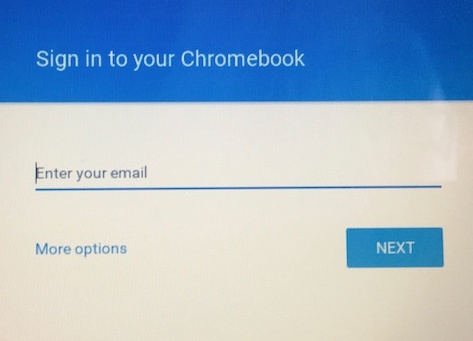 At the Sign into the Chromebook page, press CTRL+ALT+E to bypass the sign-in screen and go straight to enterprise enrollment. Enter the user name and password from your Google Admin welcome letter or use your existing G Suite user credentials, and click Next. In this exercise, set up and configure a restrictions profile in Workspace ONE UEM to explore how enterprise profile settings apply on an Android COPE device. Before you can complete this exercise, you must successfully enroll an Android device in COPE mode. 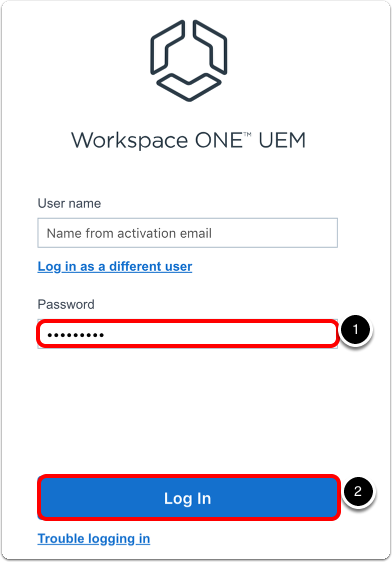 Profiles are the mechanism by which Workspace ONE UEM manages settings on a device. All profiles are broken down into two basic sections; the General section and the Payload section. 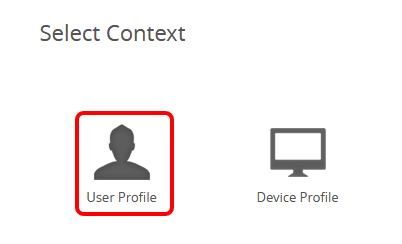 The General section defines the profile's name and assignment settings. The Payload sections define actions to be taken on the device. Every profile must have all required fields in the General section properly filled out and at least one payload configured. 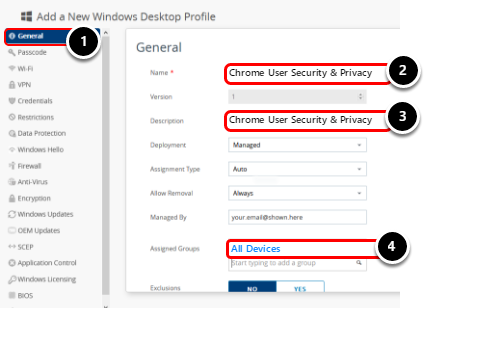 While all Workspace ONE UEM profiles manage device settings, Chrome OS profiles can apply at the device level or the enrollment-user level. 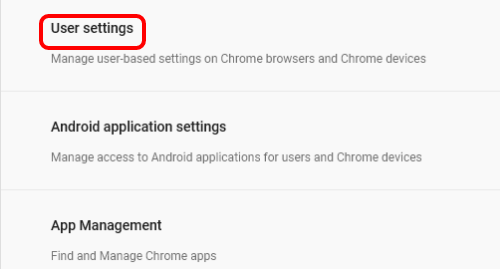 Device Profiles - Apply to Chrome OS devices regardless of the user logged into the device. Device polices are applied through Smart Groups. User Profiles - Apply to Chrome OS devices at the user level, and do not apply to users signed in as guest or with a Google Account outside of your organization (such as a personal Gmail account). User polices are applied through User Groups. In this procedure, configure a Security & Privacy user profile for Chrome OS to disable incognito mode. 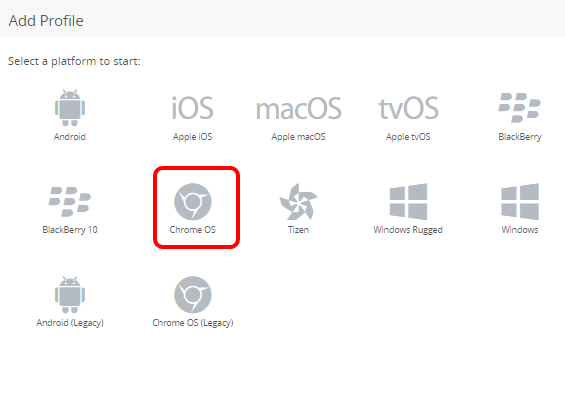 Select the Chrome OS icon. Select General if it is not already selected. Enter a profile name such as Chrome User Security & Privacy in the Name text box. 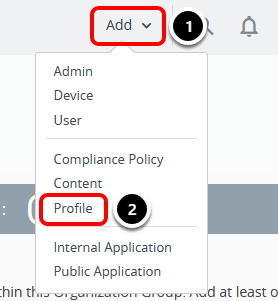 Copy the profile name into the Description field. If necessary, scroll down to Assigned Groups. Click the field and select All Devices from the list of Assignment Groups that populate. Note: Do not click Save & Publish at this point. This interface allows you to move around to different payload configuration screens before saving. Select the Security & Privacy payload from the menu on the left. Click the Configure button to begin configuring payload settings. 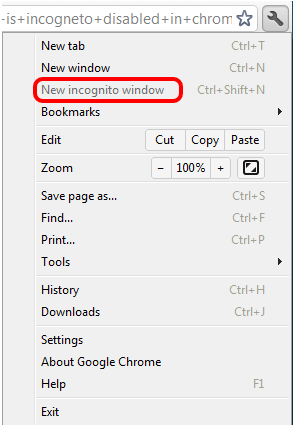 Disable Incognito Mode to keep users from browsing the web without storing local data. Profiles for Chrome OS are deployed using API calls, which are a different solution than is used with other platforms, in which the profile is sent directly to the Workspace ONE Intelligent Hub on the device. For Chrome OS devices, the Workspace ONE UEM console relies on API responses to the Google Cloud to push new polices. The console displays a green check mark to show that the policy has been updated to the Google cloud. Try to open a tab in incognito mode. Notice how the option is disabled. This operational tutorial provided steps to deploy corporate owned personally-enabled Android devices. application store A user interface (UI) framework that provides access to a self-service catalog, public examples of which include the Apple App Store, the Google Play Store, and the Microsoft Store. auto-enrollment Auto-enrollment simplifies the enrollment process by automatically enrolling registered devices following the Out-of-Box-Experience. catalog A user interface (UI) that displays a personalized set of virtual desktops and applications to users and administrators. These resources are available to be launched upon selection. cloud Asset of securely accessed, network-based services and applications. A cloud can also host data storage. Clouds can be private or public, as well as hybrid, which is both private and public. device enrollment The process of installing the mobile device management agent on an authorized device. This allows access to VMware products with application stores, such as VMware Identity Manager. identity provider (IdP) A mechanism used in a single-sign-on (SSO) framework to automatically give a user access to a resource based on their authentication to a different resource. (MDM) agent Software installed on an authorized device to monitor, manage, and secure end-user access to enterprise resources. one-touch login A mechanism that provides single sign-on (SSO) from an authorized device to enterprise resources. service provider (SP) A host that offers resources, tools, and applications to users and devices. virtual desktop The user interface of a virtual machine that is made available to an end user. virtual machine A software-based computer, running an operating system or application environment, that is located in the data center and backed by the resources of a physical computer. For more information, see the VMware Glossary. The purpose of this tutorial is to assist you. Your feedback is valuable. To comment on this tutorial, contact VMware End-User-Computing Technical Marketing at euc_tech_content_feedback@vmware.com.